The woman behind the man and my favorite Political figure, who coincidentally married my favorite President. Eleanor Roosevelt was the whole package. Born on the 11th of October, 1884 in New York City, as Anna Eleanor. Eleanor was plagued with misfortune throughout her childhood. Her mother and younger brother, Elliot Jr. both died of diphtheria before she was 10 and her beloved Father passed away from consummation when Eleanor was nine. Her surviving brother, Hall would also have trouble with alcohol later in life. Eleanor’s father, Elliot was Theodore Roosevelt’s younger brother. Theodore thought of neice as his own daughter. Eleanor was painfully shy, insecure and hated public life. At 15 she was sent to London to attend Allenswood. It was there she found an interest in travel and becoming an intellectual. Eleanor would later state that her three years at Allenswood was the happiest of her life. But then she was forced back to the States by her Grandmother, when she was 17 in order to attend her “coming out” party. An event she dreaded. Around that same year in 1902, she met Franklin (Her Father’s fifth cousin) and the too hit it off right away. She was part of the Oyster Bay Rooselvets and Franklin was a member of Hyde Park. After a whirlwind romance, they became engaged November 22, 1903. Again, Eleanor was faced with family backlash when her future mother-in-law requested they keep the engagement a secret for one year, in hopes that they’d call it off. Eleanor had hoped to find a maternal figure in her MIL, Sara Delano Roosevelt but unfortunately Sara was devoted to Franklin and always saw Eleanor as an outsider. They were married on March 17th 1905 to accommodate the then sitting President and Eleanor’s beloved Uncle, Theodore. Theodore adored his niece and happily walked her down the aisle. Before she was married Eleanor devoted her time to volunteer work, but stopped once she married. She had six children, Anna Eleanor, James, Franklin, Elliott, Franklin Delano Jr. and John Aspinwall. Her third child, Franklin did not survive past infancy. During World War I, Eleanor volunteered with the Red Cross and the Navy–Marine Corps Relief Society where she flourished. She felt a real sense of self-worth and against her mother-in-law’s wishes, Eleanor continued after the War had ended. After Franklin was stricken with polio, many historians believe that Eleanor’s nursing background aided in her husband’s recovery. Especially during the height of his illness, where she probably saved his life. Before Franklin’s diagnosis, Eleanor had discovered his affair with her social secretary, Lucy Mercer. The entire ordeal was humiliating and quite heartbreaking from a personal level. Franklin’s affair encouraged Eleanor to get out of the house and continued not just volunteer work but she learned how to type and write shorthand. She joined the League of Women Voters, where she made friends with veterans of the suffrage movement. The League would talk a lot about their plans for the future, puzzled Eleanor didn’t want to talk about what they wanted to get done, she wanted action. 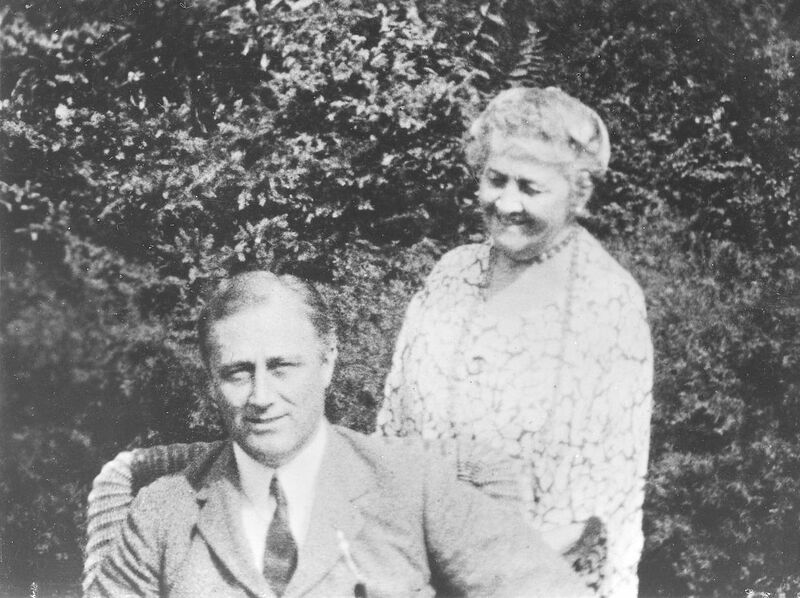 Back to Franklin’s affair, this happened around 1918, and 10 years later, in 1928, she would help her husband become Governor of New York, and eventually the 32nd President of the United States. Their intimate relationship was over but Eleanor continued to take care of her husband. By helping him to heal not only his body but his mind, as well. It was Eleanor who encouraged Franklin to go back into Politics. His Mother discouraged him, wanting him to retire from public life completely. Eleanor may have started life as quietly as possible but as she matured and realized her own strength, Eleanor became a force to be reckoned with. A fact many great women come to realize in themselves. Eleanor was a champion of Women’s Rights. In the White House, she held the first Press Conference by a First Lady. This may not seem like a big deal but at her Press Conferences she would invite female journalists. Several being Female-Only Conferences, which forced many news outlets to hire female reporters. Prior to these Press Conferences women journalists were excluded from serious news. Speaking of reporting, Eleanor wrote her own weekly column from 1935 to 1962, entitled, My Day. She wrote her thoughts about current affairs such as Pearl Harbor and many people consider this to be the closest thing to a diary Eleanor had kept. The only column she missed was the week Franklin passed away. In 1946, President Harry S. Truman appointed Eleanor United Nations delegate. She focused on Human Rights and created the 1948 charter of liberties, The Universal Declaration of Human Rights. Many people consider this to be her legacy. Truman nicknamed her, “First Lady of the World”. I think what I love most about Eleanor is that she was a sleeping giant. When I was younger, I was very quiet. I feel like society pushes people to hit the ground running and if you’re not the squeaky wheel then you won’t get oil. While this is true a lot of the time, Eleanor is a prime example that you can achieve great things later in life. Your confidence will catch up with you.